A new month. As I write and rewrite, the world outside my window looks like it can produce lots of snow mana; but nothing will keep me from reporting on Pauper staples, powerful mana rocks, zero mana counters, Elves, and Centaurs. 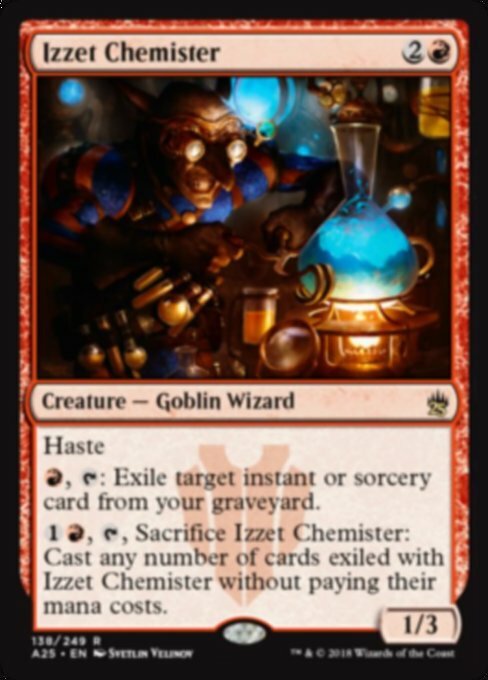 Adding to the already bursting hordelings, I feel that Goblins will be well represented in this format for Red decks. Find ways to buff this spiky boy, and you'll be off to the races. 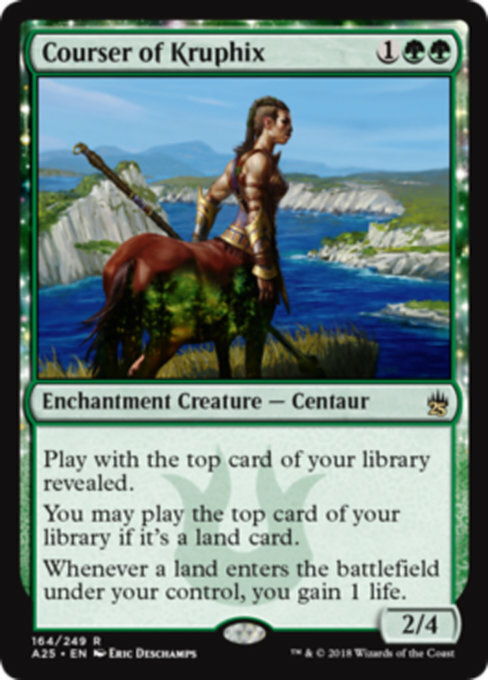 Welcome Temur's most powerful commander, and the preview card for Jimmy and Josh. 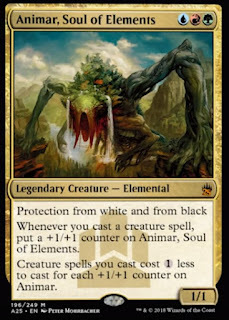 Animar returns representing the original Commander preconstructed decks. With Kaalia reprinted in the Commander's Anthology, many were hoping for more of the original Commanders to come back with a vengeance; and here's the elemental with creature electromancy, looking to shine on Commander tables in foil once again. 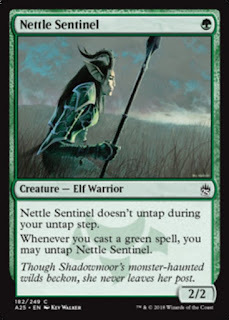 A one mana 2/2 that doesn't untap unless you cast a green spell feels well costed, right? Nettle Sentinel is a mainstay in Pauper Elves, Pauper Stompy, Modern Elves, Legacy Elves, and many other Mono Green Devotion decks in many formats. Being at common with the Eventide symbol in her text, many players will seek the sentinel. 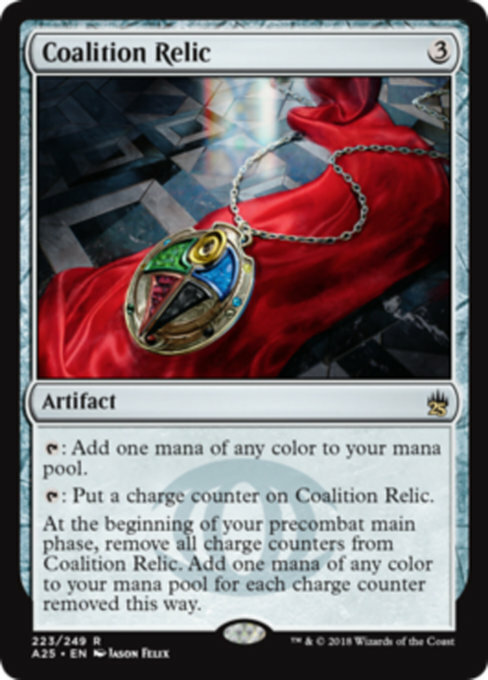 A card, I'm certain, Wizards printed as an afterthought in Commander 2016 is reprinted here, upshifted to Uncommon. 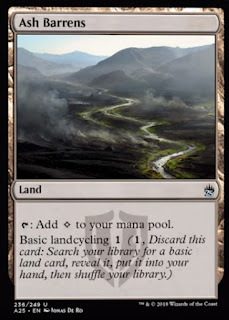 The four-colour Commander decks featured a cycle of new cards with basic landcycling (Ancient Excavation and Sylvan Reclamation being the best of the bunch) but one innocuous, colourless land would see maindeck Pauper play and be a mainstay in 3+ colour Commander decks. This will dent the rocketing price tag. For those playing Blue in this Limited environment, it may be morphin' time. 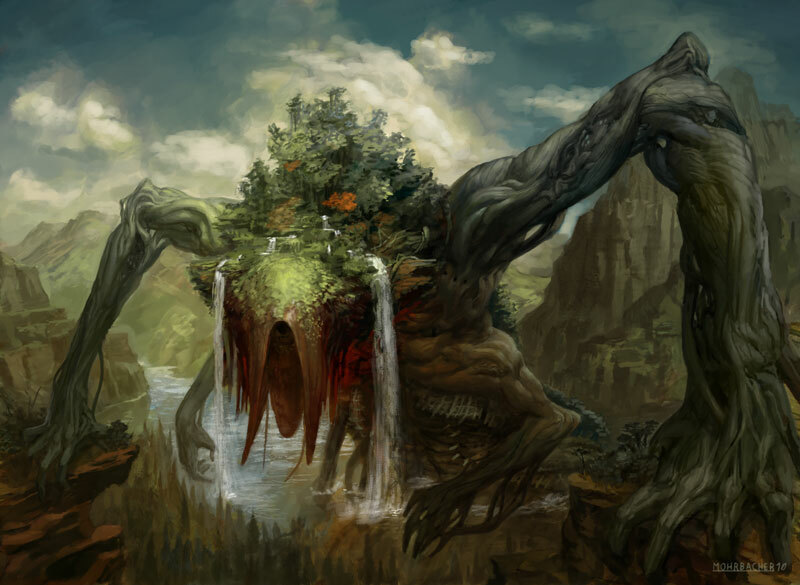 To play a creature face down then flip it back up for an unexpected, powerful effect does get in the mind of an opponent. The ones chosen range from literal Gush to repeatably cloning. 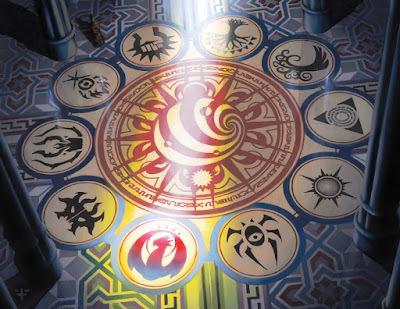 With access to all of Magic's history, the morph and morph payoffs from Khans block would be very fun to draft together. The popular Commander mana rock here, and with art that wonderfully marries the shape of the original with the newy newness of digital art making. 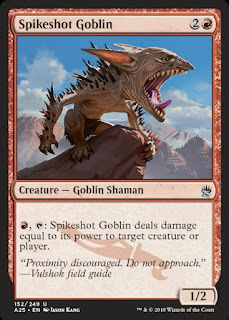 A fairly recent card that I am so happy to see at rare. A personal favourite from the Inalla precon - I've ended up shuffling two into other Commander decks. A favourite in Mizzix, Kess, Melek, Tibor and Lumia, and more, the Gobbo is welcome. Both Dev of SBMtG and I are happy to see Elvish Piper return. 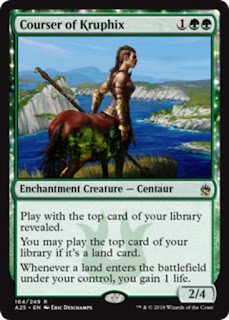 The Commander beacon of removal as it allows you to cheat out many many creatures if she stays around. 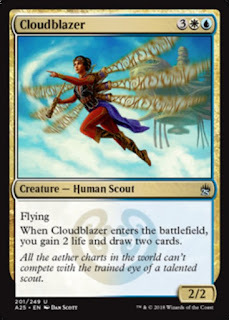 Undoubtedly the best card in Born of the Gods, Courser of Kruphix clears your topdeck for Modern strategies like Knightfall, as well as being welcome with Titania, Omnath, and Azusa in Commander sees it being very welcome in Commander. 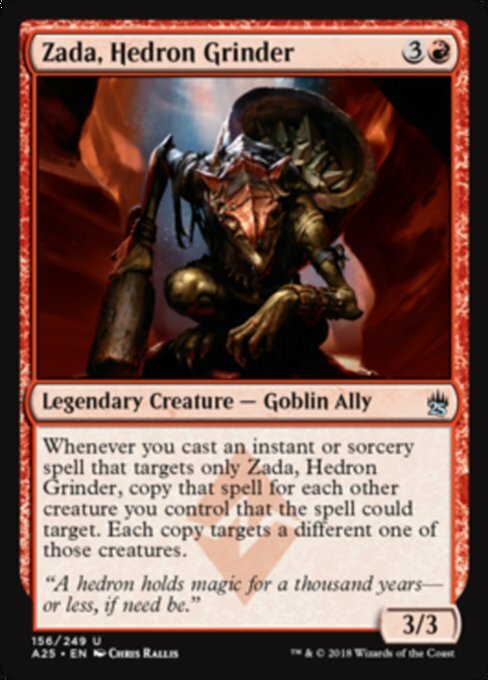 Curious to see Zada in the same pedigree as Jalira and Ihsan's Shade, as a legendary creature at uncommon. Such hasn't been seen since the Amonkhet Monuments and the glut of legendary permanents in Kamigawa block. 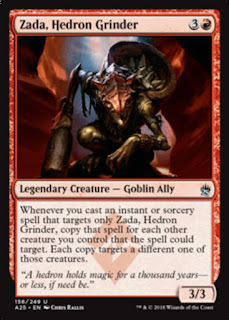 Making them readily available in Limited for shenanigans is the obvious reason for the downgrading, and it'd be nice and easy for me to get one with the foil BFZ watermark for Commander. Interesting to see. 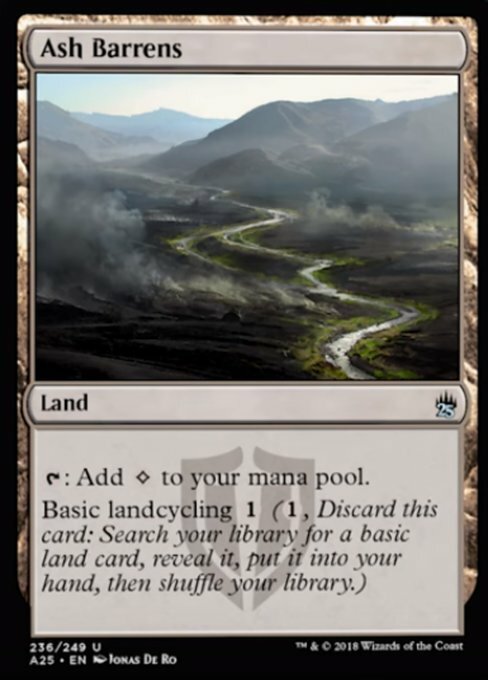 Well, there go all my worries about whether they were going to print anything legal in Standard. 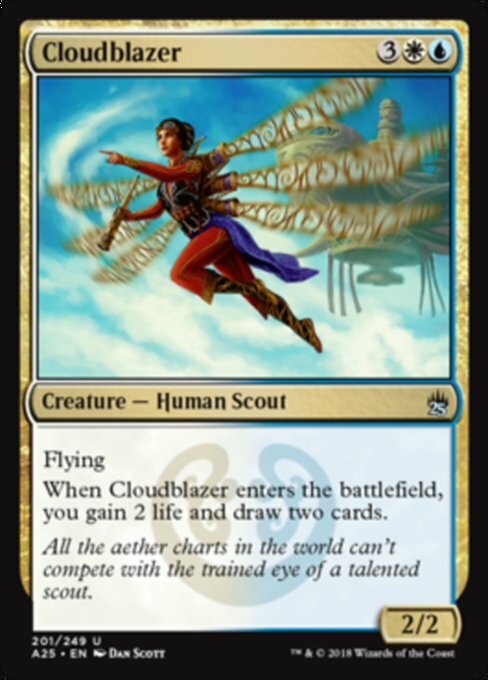 Except for Favorable Winds budget decks and Panharmonicon decks when the set was new, Cloudblazer here sees no Standard play. I'm sure she's included as she's an absolute Limited powerhouse, and for that reason she is welcome. If any green card selector spell got to see so much play immediately upon its printing, it would be Collected Company and this. Seeing play in Green/Black Tron, Lantern Control, Bant Eldrazi to name a few is a welcome sight for a player aligned with the Eldrazi horde. 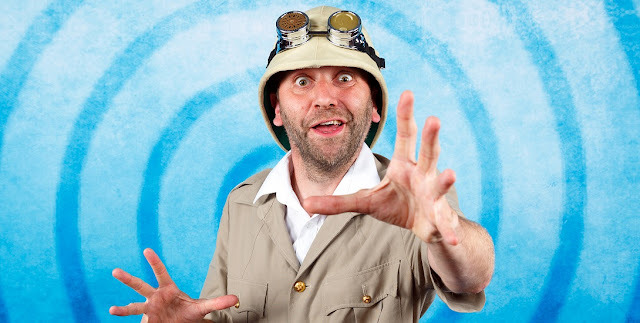 Mana ape returns! 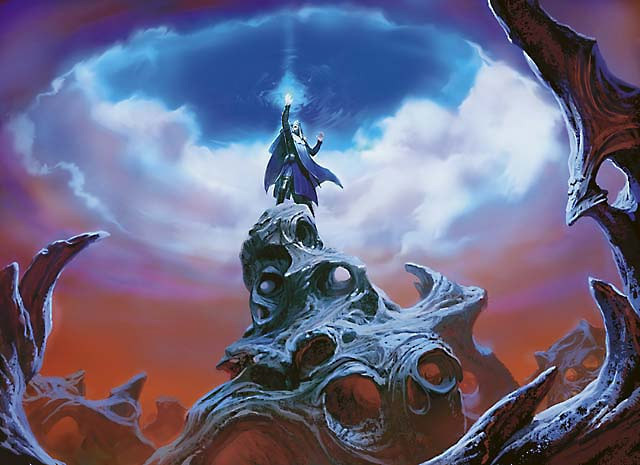 Seeing play in Modern 8-Whack builds and budget Legacy Storm decks, the versatility of Sim's fast mana is valuable, and welcome to see in the M15 border. Sideboard tech like this is always a welcome reprint to justify taking an A25 prize pack after a night's Magic. The printing of Stony Silence in Modern Masters 2017 was a welcome sight to hate out Affinity or Lantern, as this is a welcome sight against Dredge or Storm. 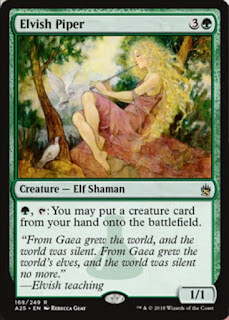 I'll end today's entry with a look at a completely fair Magic card. 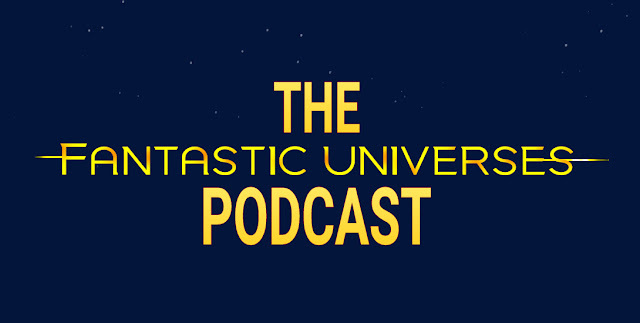 More spoilers tomorrow readers, until then.